When I set out to write about affiliate marketing to make money online, or from home, I had no idea that the whole project would end up spanning as much as it has, but here I am almost 10,000 words deep on the subject and preparing to write yet another article. Since I have looked at both Clickbank and Amazon’s affiliate programme in detail, I have decided that one of the major topics left to cover is what you need to do in order to actually market products. This is a massively varied topic and so this article is likely to be a little bit less structured than some of the content that I have put out before, however I do hope that it will continue to be useful. As always, the goal here isn’t to set out a step by step process for you as there are plenty of examples of this available online. What they don’t do is compare and contrast the different methods of promoting products. 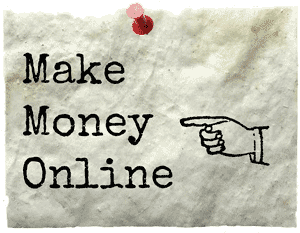 I personally feel that a big part of this is down to the sheer volume of methods that you can use as an affiliate. I also feel that it is important to take the time to say that despite what a number of questionable products will say, there is no definitive method of affiliate marketing. Everybody will have their own preferences etc. and these will mostly be dependent on what it is you are marketing. I will try to give examples of niches that different marketing methods would work best with. 1 So, Where Do I Start as an Affiliate? 4 How Much Does It Cost to Host a Website? 6 How Do I Get My Website Ranked on Google? 8 What Other Marketing Options are Available? So, Where Do I Start as an Affiliate? Picking a starting point for your new affiliate marketing network is one of the most difficult parts and yet truthfully, I don’t think that it is as hard a choice as some places will make it seem. 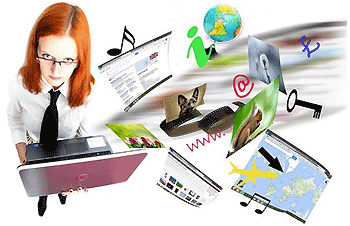 The best place that you can start with any affiliate marketing network is to have a website. This doesn’t have to be particularly fancy and many successful marketers will simply use a WordPress website as the hub of their marketing network. A website is important for a number of reasons, but the main one is that it gives you a permanent web presence and things like this offer a lot of reassurance to people. I don’t think I’m alone in saying that when I see something that interests me online, the first thing I will do is to search to see how well established a company is. By having a website you allow yourself to be instantly recognised whilst at the same time, serving as a huge part of your sales funnel or affiliate network. There are many different terms that one can use for the methods that you use to sell products online. I personally use the term network as I feel that this best describes what you are creating. A sales funnel is a much broader term that describes the different points of customer interaction, each ultimately (in theory) driving customers to the narrow end of the funnel which is a purchase. I personally prefer the term network as really, each facet of your operation should operate as its own independent sales funnel. None the less, these terms refer to similar practices and you will find that as you read more into internet marketing, there is a lot of interchangeability on a number of different phrases. The first step to creating your website is to find a relevant URL. There are a few different approaches to this and they will ultimately depend on how sustainable you want your business to be. If you have a single product in mind that you want to market and are looking for quick traffic and easier SEO, then you may wish to have a URL that is something like cavemanpaleodietreview.com (for the fictional product, Caveman Paleo Diet). The problem with doing this is rather apparent in so much as you can only really use that URL for that particular product. Alternatively, you can cast a wider net and you could use something like thebestpaleodietsreview.com. This is likely to lead to much more competition as you are trying to capture all searches for “the best paleo diets” or “paleo diets reviews”, however the flexibility means that you can continue to modify your site as other products generate more traction on Clickbank or Amazon. Creating a website can be as time consuming and as complex as you want it to be, but for the purposes of starting a new affiliate network there is no need to go into this in too much detail. You can very easily find somebody to create a website from scratch for you but this can be expensive, time consuming and you aren’t guaranteed to get what you want. With this in mind, most affiliates will use WordPress (a subject that I will look at in more detail). This is a simple platform that allows you to create your own websites with ease. One of the other things to consider is what kind of website you want to operate to sell a product. There are a lot of different website types that people use when affiliate marketing and as is the case with a lot of decisions that need to be made, the niche that you have chosen. These can range from setting up a review style website where you list the pros and cons of different products to creating your own content and articles on a theme. There aren’t however any real hard and fast rules in this regard however and your approach should ultimately be something that you enjoy. After all, you will likely be spending a lot of time with your website, especially in the first few months when you are setting up. This will mean creating a lot of content. Technically speaking you can host a website yourself but this is well beyond the realm of possibility for most people. With this in mind, I would recommend looking at a hosting company. There are thousands of these online and finding the right once can be a daunting task. With some searching however, you should be able to find a good host that offers their services at a reasonable cost, especially if you get a WordPress only hosting package. When you have chosen your host, you will be faced with a large number of different options in terms of how much space you will need, how much traffic your website can handle etc. The differences in costs between the different tiers can seem negligible, but it is important to remember that your new affiliate marketing venture is a business and as such, you want it to become sustainable as quickly as possible. Wordpress is a very flexible, lightweight and easy to use website creation platform. These features make it one of the most oft utilised tools in the affiliate marketers arsenal. A big part of this flexibility is that there is a massive customer driven market for things like themes and layouts for your website as well as plugins that allow you to modify the behaviour of your site. This approach means that no matter what your intent when creating your website, you will find something that suits you. For example, simply looking at WordPress themes, there are examples for websites that are image based, that want to sell a product (or products) and even templates that are perfect for article based content. All of these are customisable so that you can choose colours, fonts etc. and really build the brand of your website. The most powerful part of WordPress however isn’t that you can make a website look pretty (although that certainly helps), it is the plugins I mentioned earlier. These can allow you to tag new articles and posts in such a fashion that Google will “like” your posts and rank them higher. There are also plugins that allow you to have popups appear on your website so that you can advertise a product that way or even capture visitors email addresses (something that is hugely important as I will look at below). A vast majority of these plugins are free however I do feel that it I should point out that some are also paid. Generally speaking, you get what you pay for with WordPress plugins however it is worth paying attention to reviews. I have expended far too much time and effort before now trying to get a plugin to do what I want on the grounds that it can supposedly do this, only to find a much better rated alternative a few pages along. How Do I Get My Website Ranked on Google? I have already mentioned that you will need to create a lot of content in order to get your website up and running but this can’t be overstated. Depending on the needs of your business, you may find that simply getting a website ranked for certain keywords is enough. This kind of approach is generally used by those who are looking to sell an individual product. If however you are looking for something more sustainable, then you should be consistently updating your website. In terms of what Google is looking for, this can be a difficult thing to know. They are constantly updating their search algorithms to ensure that only the best quality and most relevant websites are ranked. This generally means articles that are at least 1000 words. This can soon mount up which is one of the main reasons that I have advised in other articles about affiliate marketing that your niche should interest you. I have chosen to title this section basic SEO as I don’t want to go into too much detail, namely because there is far too much detail to go into on the topic. In fact, SEO could well be an article of this length in and of itself. SEO stands for search engine optimisation and this all relates to how you get your content ranked on search engines (usually Google given their massive market share and for the purposes of this, I will be referring to Google) for certain incoming search terms related to the products that you are marketing. There are no hard and fast rules for SEO because as I have touched on, the actual algorithms that Google use are highly secretive and are also subject to change. That change can and has broken entire online affiliate marketing rings in one fell swoop, simply because the content a marketer has in place doesn’t meet Google’s standards. Having said all of this, there are some generally widely considered basics that you can always rely upon if you want your site to be ranked. Google has always, and in some way or another, will always look for high quality content that is relevant to inbound search terms. What this means is that if you are selling a horse racing betting system as an affiliate and your website mainly has content relating to football, Google is unlikely to see your site as an authority on the subject. Google looks at the quality of your content by robotically reading the content of your site and applying their algorithms to what you have on your site. This is predominantly based around keywords however simply putting the name of a product over and over won’t work. The content has to read organically and should ideally be written by a real person. Once upon a time, it was possible to simply have somebody with English as a second language bang out articles for next to nothing but because these don’t read well, they are viewed as less valuable by Google. Another factor in how Google ranks your site is how many websites connect to it and arguably more importantly, whether they are good quality websites. If you simply link to your site from websites with no relevance or status (for example empty blogs), then Google will not see you as valuable. If however your site has incoming links from big and well established websites, it will itself be held in higher regard. Finally, I want to talk about something that is so easy to overlook that it is oft forgotten when people are discussing SEO. Your content should be unique. You may well see websites offering “done for you” content in a certain niche but this is generally existing articles that are not unique to your website. If the content is unique, it has generally been put through a text spinner and the output is drivel and a long way from the genuine and organic content that Google looks for. What Other Marketing Options are Available? If a website is the hub of your affiliate marketing network, then there more branches coming off it than I can list. As always, I do intend to break these down and look at what options are available and which are most effective. 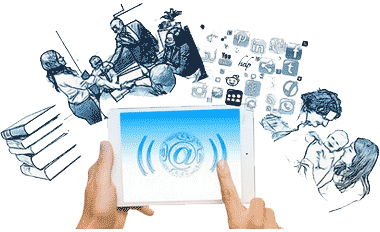 After your website, arguably the most important aspect of your affiliate marketing network is social media. This can take a number of different guises however and each of these is worthy of their own section. There are also email marketing campaigns, something which a lot of marketers consider to be central to their operations. As I have touched upon, there are also less ethical ways of marketing your products, however most of these are only really suited to those who are looking to try and gain an immediate and easy boost to numbers. Many of these methods are decidedly scam like and truthfully, few marketers will use the as part of a sustainable business. Facebook is probably the best known social media site in the world and as such, it is no surprise that affiliate marketers often take advantage of the platform. One of the reasons for this popularity is that Facebook is a very versatile tool in the right hands. There are so many different ways of reaching out to prospective customers and the best part is that most of them won’t actually cost you any money. The first place to start is with a fan page or even a Facebook page for the product if such a thing doesn’t exist. This is something that a lot of marketers use as it allows you to be discoverable when people are searching for the product. There is more to it than this however as it allows you to communicate with other users whilst representing the product you are selling. This leads me onto the second method of marketing on Facebook which is to find groups relevant to the product you are selling and promote there. This is one of the less ethical methods that I have talked about however and many groups will not appreciate this type of intrusion and you may quickly find yourself banned or your account reported. That having been said, if you are looking mostly to gain a quick boost, this may be worth exploring. The final method of marketing through Facebook that I wish to explore is paid ads. This has numerous advantages, one of the most obvious being that you can legitimately target groups that are looking for products similar to what you are selling. The cherry on top of this is that Facebook prioritises its own ads in such a way that people are practically guaranteed to lay eyes on your ads. The big downside however is in the name, the ads are paid. When you are starting out, this can be an expensive way of building a network. One of the most consistent phrases that I have seen in my time looking at ways of making money online is that the list is king, and by list, we are referring to a list of email contacts. Email marketing is one of the oldest and most efficient ways of ensuring that plenty of people see exactly what you have to offer. The downside to an email list is that you have to build it although if you have set your affiliate network up correctly, this shouldn’t be a problem. Email list management is the main thing that you have to consider here and there are a number of different tools that are available to help with this. If you are just getting started, there are various WordPress plugins that will allow you to carry out building a list however these are very basic. If you are serious about building a list however then you will want to look to some of the many companies that offer this service. There are a large number of these third party companies however there are two main ones that I wish to discuss. The first of these is MailChimp. This is a company that has been established since 2001 and offers a myriad of services. One of the truly stand out things that MailChimp offers is a free service that allows you to send up to 12,000 emails per month to up to 2,000 subscribers. The other main provider of email related services are Aweber who are arguably the larger company and the more preferred professionally. Whilst they technically offer very similar services, I would probably say that Aweber offer a few more features and have slightly better integration with most WordPress plugins. You do however ultimately pay for this as the service only comes with a 30 day free trial rather than any free option. I have mentioned that building an email list as part of your affiliate network however this doesn’t necessarily go far enough. This is one area that a lot of people really struggle with. Probably the best tactic for collating emails from your customer base is to offer something for “free” in exchange for an email. This can be a simple report relating to the product that you are selling or the niche you operate in or a free product that you have PLR rights to. One of the main reasons that email marketing is so important is that if you have been collecting emails through your affiliate network, you are marketing directly to people who have expressed an interest in your products. You can also use email marketing to target people who have bought from you before. One method of marketing that is increasingly used is Instagram, a social media website that is based predominantly on images. For those who don’t know, Instagram allows users to post images and interact with people who comment on them making it a haven for those who are selling products that have a visual component. The main niche that I have seen flourish under Instagram is health and fitness where inspirational quotes, pictures of body builders and models etc. can all garner a lot of interest. Because Instagram also has a tagging feature, you can tag images to attract people who are searching for terms related to your niche or the product you are selling. Once you begin to gain a following, you can start to post an affiliate link directly or even refer your followers to your main website. One of the only downsides to Instagram is that the service is mobile based and getting multiple accounts can require some technical knowledge. This is getting easier with time however and I feel like Instagram is going to become a bigger platform in the near future. Twitter is a short messaging service which allows you to broadcast to your follows. Unfortunately, you are limited to a set number of characters however. This means that you can only send out the bare minimum in terms of information. What Twitter can be useful for however is broadcasting updates to your followers on your website etc. Truth be told, Twitter is not a marketing device in and of itself, despite what people will tell you. Whilst you can post images etc. the format isn’t really set up to sell products to people. PPC Advertising stands for pay per click which is pretty much exactly what it says on the tin. There are lots of different formats for PPC ranging from small time websites all the way to perhaps the most well known example, Google Ads. Truthfully, if you are getting started as an affiliate marketer, you will likely find that this route is expensive and not necessarily the most productive method you can use. PPC is best utilised as a method of generating traffic for a main website and as a part of a wider network if you are going to use it. Fiverr is a bit of a new platform and whilst you can’t necessarily use it directly for affiliate marketing purposes, in terms of building your network, it can be a valuable tool. I have touched upon how your website should be linked to others and how Google will look for content. Fiverr can help you with this for a very nominal fee (the entire website is based around people doing things for £5). Some users will link to your website quickly building links and making your site look more established than it is. Other people will sell their skills as a writer meaning that you can get some fresh and good quality content written which will fit the criteria that Google lay out. Of course these aren’t long term solutions and in the case of building backlinks to your site, it can have a negative effect (I have seen massively conflicting reports on this). Ultimately, I am including this section simply to allow people to fully understand what is available to help them. I have looked at a number of different ways of marketing products over the course of this article and you will generally find that most affiliate marketers will use a combination of these methods. There are also less ethical and sustainable methods like spamming forums related to the product you are selling or the niche you operate in and even buying email lists from sources online. Generally speaking, however these do not have good results. To really make a decent affiliate marketing network, you have to be willing to take a lot and work hard at combining different methods of marketing. It is only by doing this that you can start to attract a steady stream of custom to your affiliate link and ultimately make sales. This doesn’t however mean that you should commit to all of them. Some of the shrewdest moves you can make in business is to cut loose aspects that aren’t contributing value. All of these different methods are what I am talking about when I refer to an affiliate network and it is also why earlier I wished to separate this term from the concept of a sales funnel. It can be difficult and trying when you are starting out to get people on board and visiting your site however you will find that if you stick at it, you will get traffic and once you start to get organic traffic, you will only continue to get more. What I hope I have done with this article is ultimately to demonstrate that you don’t need a lot of money to get started. In fact, a lot of what I have looked at you can do for free or for just a few pounds a month if you shop around. This is by no means a definitive guide however I hope to have painted a broad picture that will allow you the reader to understand the journey ahead of you and to have provided some idea of where to start. Honestly, getting started as an affiliate marketer is not easy. I cannot stress this enough and I have tried to keep this tone in everything that I have looked at related to the topic. Any product or person who tells you that they can have you making big money in little to no time is likely only out to scam you. In spite of this, running an affiliate marketing business is one of the most formulaic methods of making money online that I know of. I know that this is massively contradictory and I feel that it is very important that I take some time to explain and qualify this statement. The thing about affiliate marketing is that as you get more used to getting things off the ground, it becomes quicker and easier because you will know what works best for you. Most of the successful affiliate marketers that I know of do almost the exact same thing for every product that they set out to sell. This is also why many of them go on to sell you the “blueprint” for making money as an affiliate marketer but there are a lot of nuanced details that will differ depending on your personal approach. By all means, if you want to buy one of the myriad of products online that claim to show you step by step how to build an affiliate marketing business, then do. Using it as a vague template may well help you to skip a few steps when you are starting out, but to miss these steps is a bit like buying out an existing business to me. In order to really be successful, and most importantly to replicate your success, you have to understand how things work. Once you have that understanding there are (as I have said many times) two different approaches to affiliate marketing. You can go after the quick money, and if you do understanding that formula will be more important than ever, but I have always erred towards the more permanent side of things. By taking time to build a proper affiliate network and to establish a site with good content (such as this one), you can hypothetically sell products forever off the back of one website. Whatever you choose to do, I think that the most important thing that you can do as an affiliate marketer is have fun with it. It is a lot of work and there is very little in the way of immediate rewards. I have mentioned before now that you should try and sell products that are in a niche that is of interest to you or that you enjoy and that is all because the work/reward ratio takes some time to balance out.